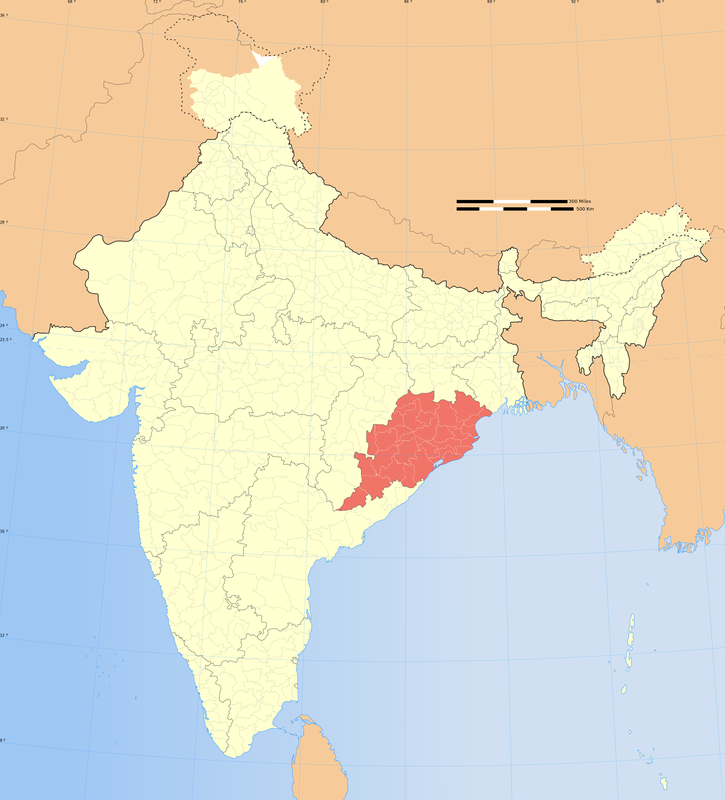 Bhubaneswar, August 28 (PTI): A male nurse was sacked from the Kalahandi district headquarters hospital in the Indian state of Odisha on Saturday for not providing a hearse to a tribal man whose wife had died, thus forcing him to take away the body unaided. The man, Dana Majhi, carried the body on his shoulders right through the 10 km journey to his village also because no one would give him a helping hand or lend him a vehicle. Chief District Medical Officer B K Barhma said the hospital had the facility for transporting bodies from hospital to the residence of the deceased persons. “Our hearse usually is engaged for about 25 days a month,” Barhma said adding Dana Majhi’s case was not reported to the authorities by the male nurse Rajendra Rana. Rana was on duty on Tuesday night when Dana Majhi’s wife Amang Dei (42) died of tuberculosis. Though Majhi had informed him about the death of his wife and asked for a vehicle for transporting the body, Rana allegedly told him to take away the body on his own, officials said. 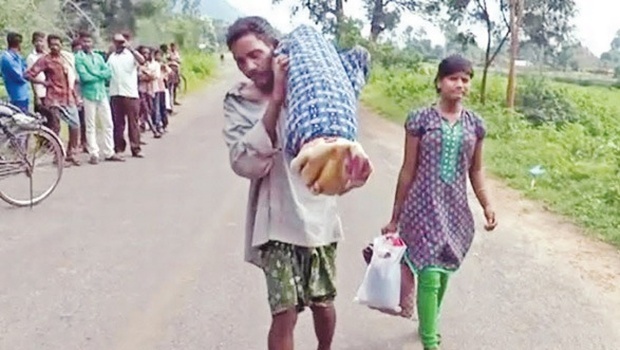 Indian tribal man walks 10 km to his village carrying his dead wife’s body on his shoulders as neither the government hospital or any one else would give him a vehicle to carry the body. Meanwhile, Melghara village in Kalahandi district witnessed a huge crowd as journalists and a Congress fact finding team came to meet Majhi and his 12-year-old daughter. “As my wife died in the night, I called the hospital staff present in the ward. He told me to take away the body. I did not know whether the hospital issues death certificate or arrange vehicle to carry the body. It took 30 minutes to wrap the body in a cloth and console my daughter before I started walking to my village,” Majhi told the Congress team. The video recording of the conversation between Majhi and Congress leader Bhakta Charan Das was shown to journalists at at Bhawanipatna, headquarters of the district. “This is inhuman. It shows the anti-tribal attitude of the Naveen Patnaik government. It must announce a high-level probe into the incident and compensation of Rs 1 million” Das said. The incident shows the callous way in which India’s tribal population is treated even by state institutions and the state of government-run hospitals.